Where possible, it will detect whether stdout is a TTY and will not print colored output otherwise. If you need to manually disable colored output, set NO_COLOR=1. Prints a dot for every passing test, F for assertion failures and E for errors. Prints a summary including error details at the end. Prints nothing for passing tests, and prints error details as soon as the error happens rather than waiting until the end. 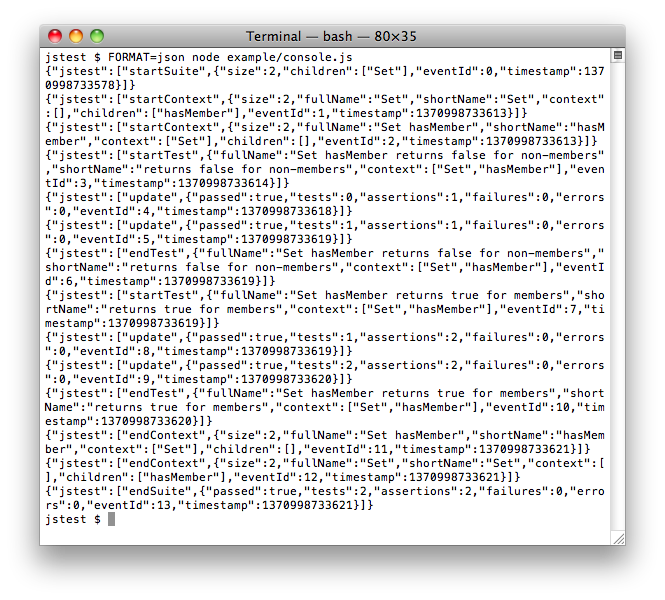 This is a literal serialization of the reporter event data, which is useful for sending test results via an I/O stream for formatting somewhere else. 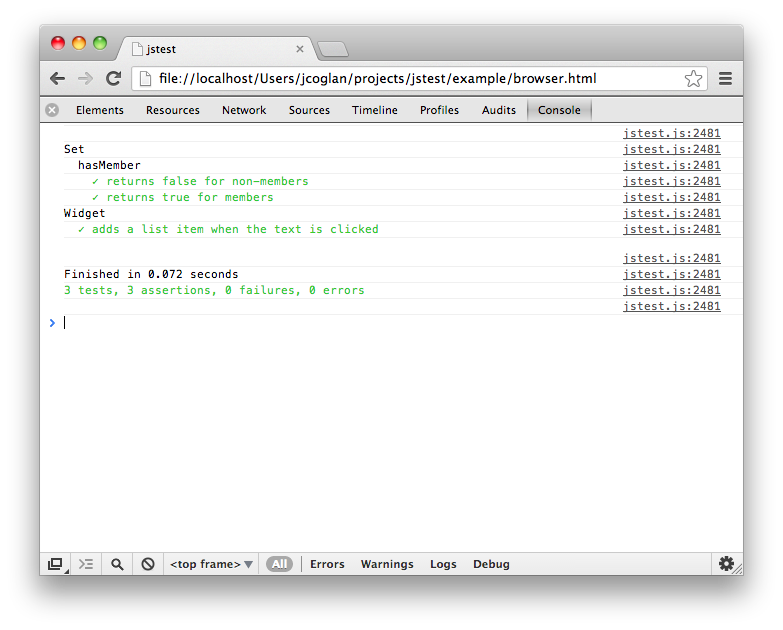 For example, the PhantomJS reporter uses this to send results from the browser to the terminal. Prints an animated progress bar. Only works in TTYs. Prints the results as a nested set of specs, mirroring the tests’ structure. Prints a summary including error details at the end. Prints TAP representation of the results. Prints TAP-J output than can be piped into tapout. Prints TAP-Y output than can be piped into tapout. 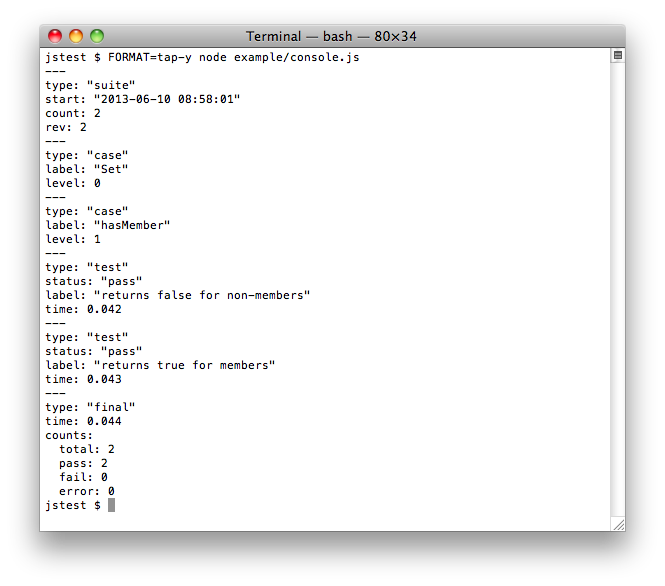 Prints a JUnit-style XML report to stdout.